Hard chrome processing for clamp plates. It makes the surface of plate stin and hards. So you'll get perfect binding performance. Vertical clamp--the technical breakthrough by us. 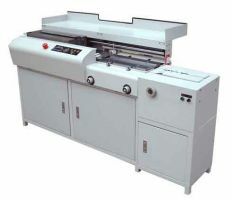 Different from other machines, our machines can bind book without an crumple, and the cramper won't carry away the cover when it runs. Adjust the height of cover clamp station from outside of the machine. 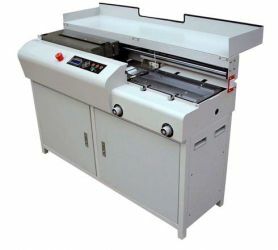 It makes the machines meets different thickness of cover with perfect binding result. 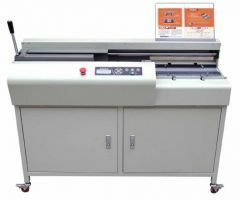 For loading binder materials like papers, book covers etc. Open cover station, easy for you to place cover and take away the finished book. Speeds up the binding job. Digitally control every function from the simple digital keyboard. No tools or physical adjustment required. View setting at a glance. Setup is quick and easy. And further more, the self-check function make fix easier.